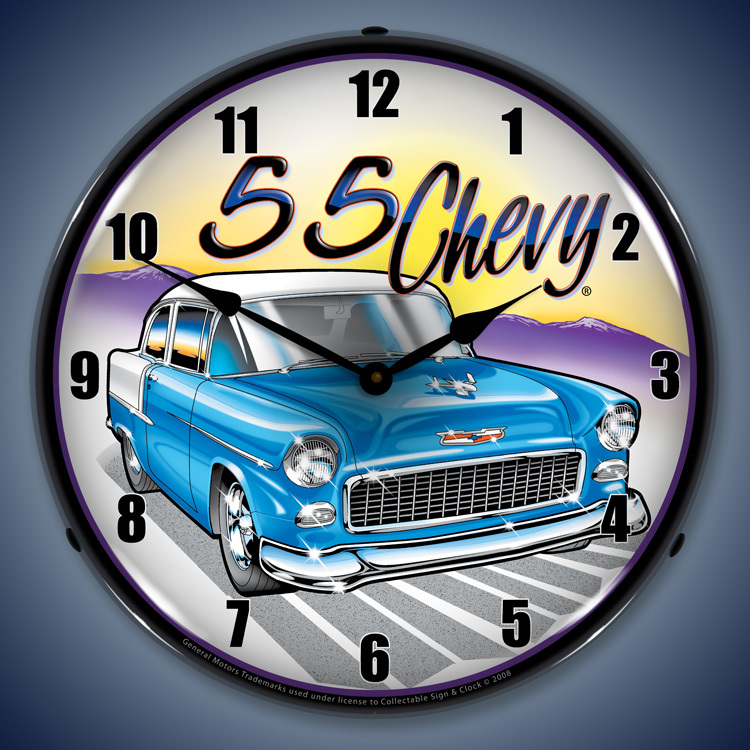 When did our love for those classic 1950s Chevys start? 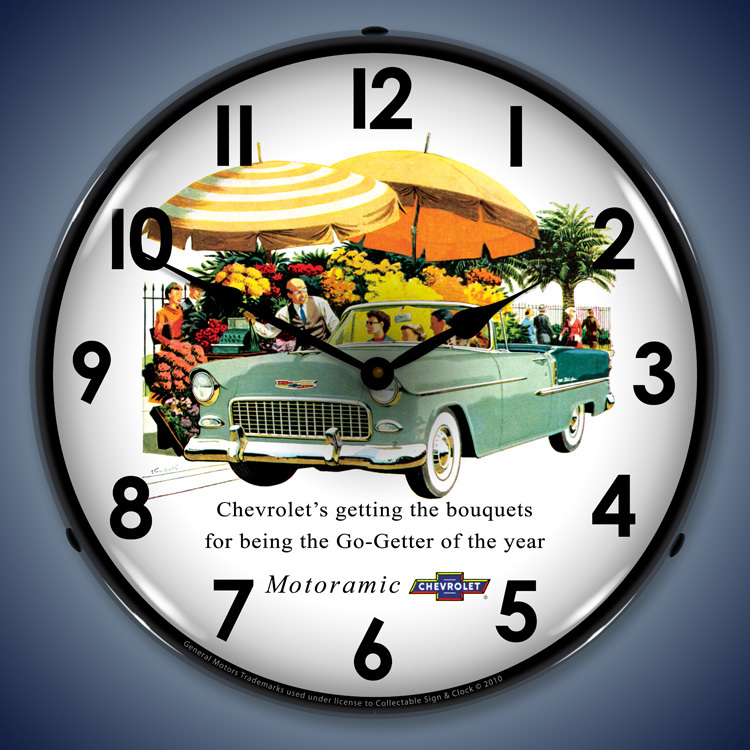 The manufacturer began playing with its design and pricing with its models in the late 1940s. 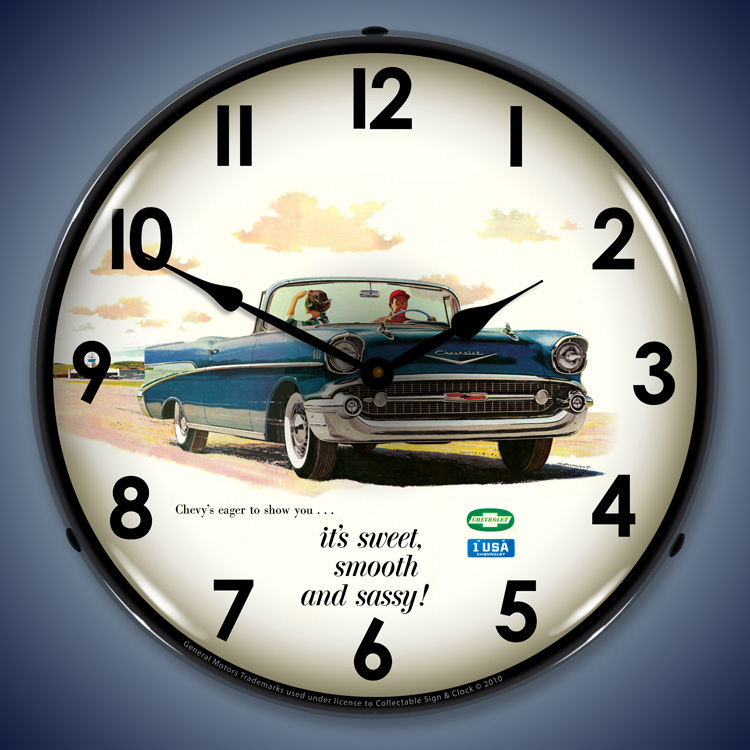 But they found their niche by the 1950s with cars like the Styleline Special and, you know it, the Bel Air. It�s hard to believe these full-sized autos � big as any two smaller models on today�s roads � made the motoring world its oyster. 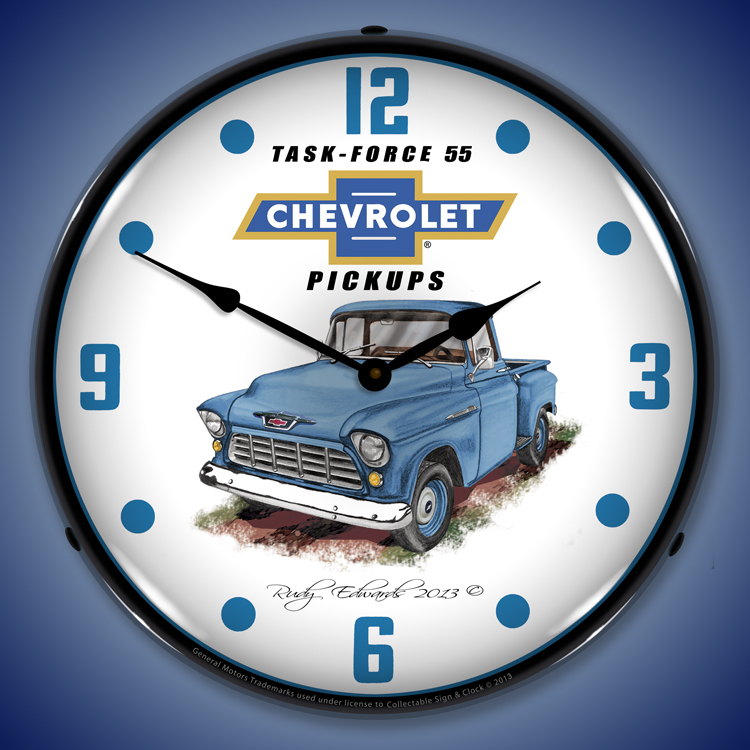 Yet, by time Chevrolet gave the model its unique trim, that look, alongside pre-WWII tech like knee action suspension, split windshields, six cylinder splash feed engines and torque tube drive, was on the bucket list of everyone from the politician to that rebel wannabe with a pack of smokes rolled under his t-shirt sleeve. 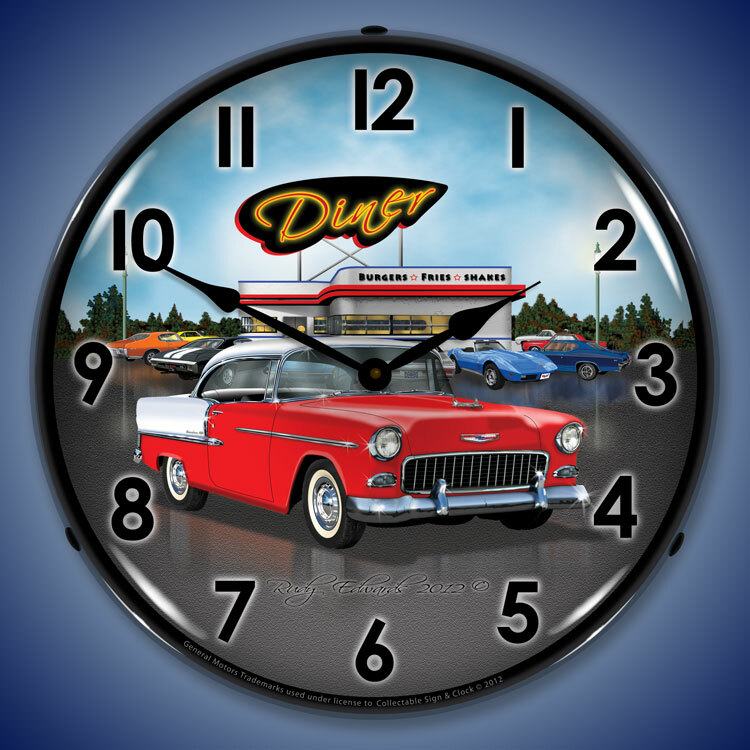 If this is all old news to you, you�re going to love this collection of 1950's Chevy Bel Air clocks. 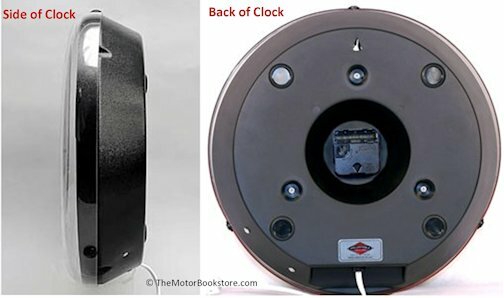 Each clock has a nice soft light that highlights the prominent color and numbers. That makes them easier to read and provides a pleasant ambience to any environment. 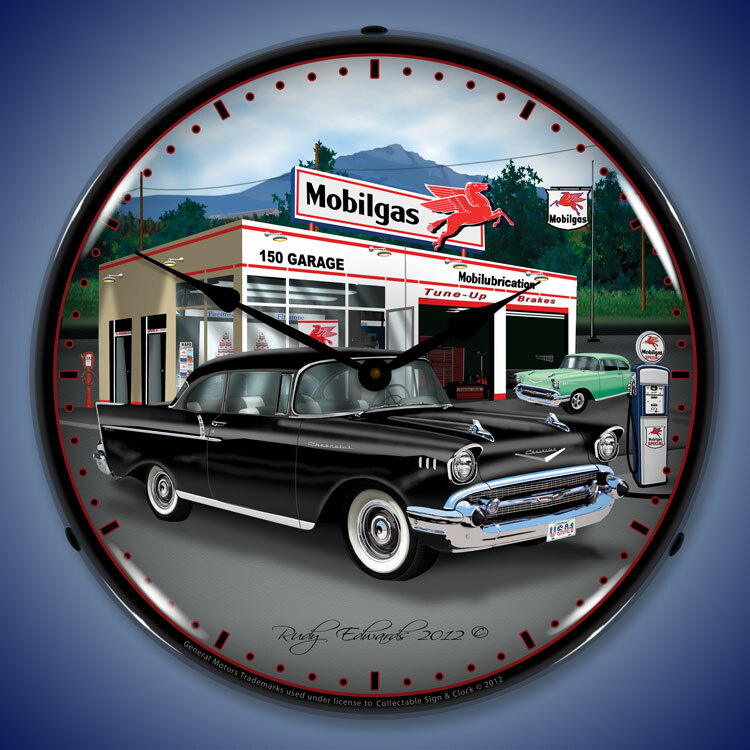 With beautiful and richly colored designs, these clocks embrace a simpler time with a classic Norman Rockwell-ish look. 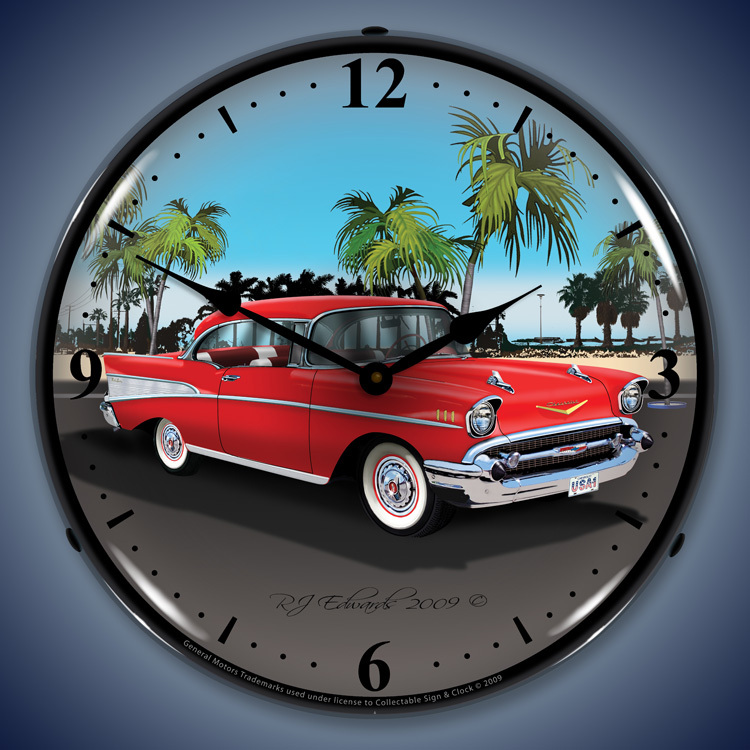 Each image was engineered using a distinct UV dried printing process that�s computer controlled. 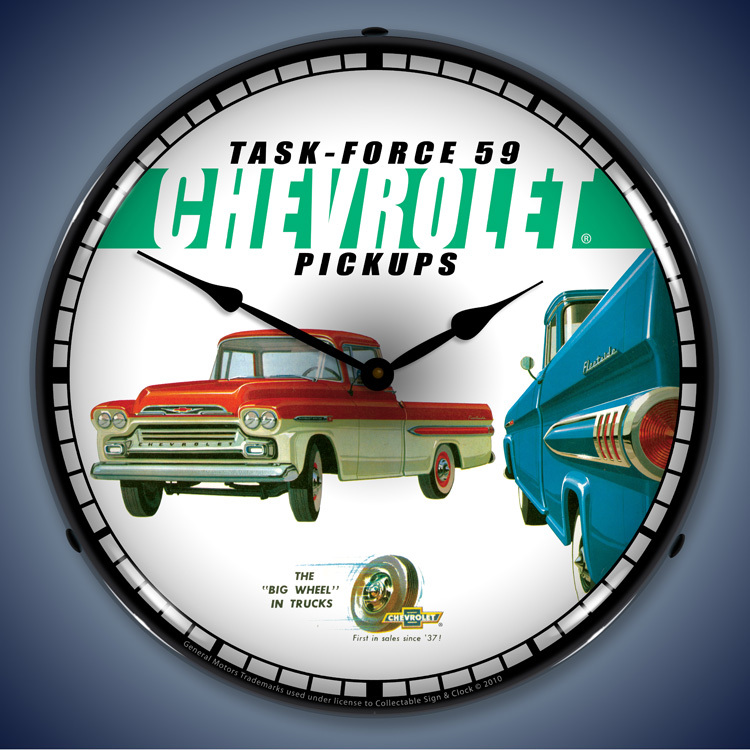 The clock body � a sound 14 inches across and 4 inches in thickness � is made from a durable ABS plastic. That�s a chemical thermoplastic formula noted for its resiliency and impact resistance. 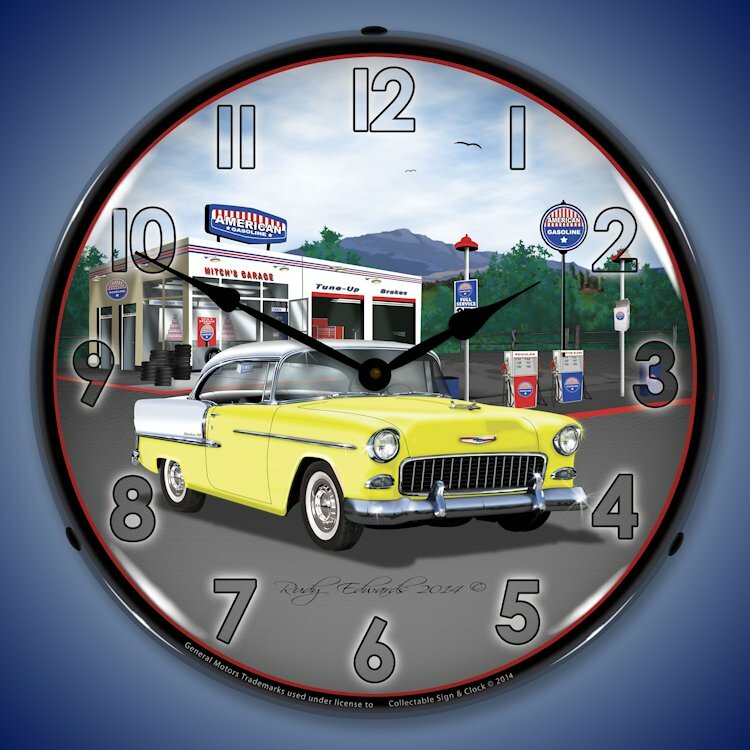 i.e., the manufacturer has used only the best to ensure these 1950's Chevy Bel Air clocks last as long as they�re up on the wall. 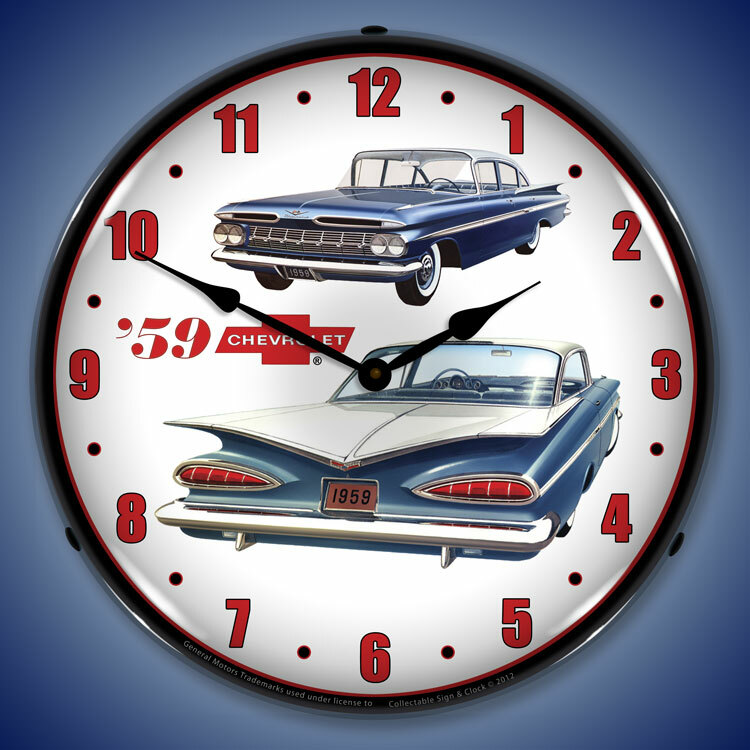 Whether you own a diner, body repair shop, or if you�re just a classic car lover that wants to spice up the garage or man cave, you can add a timeless touch with one of these brilliant 1950's Chevy Bel Air clocks. 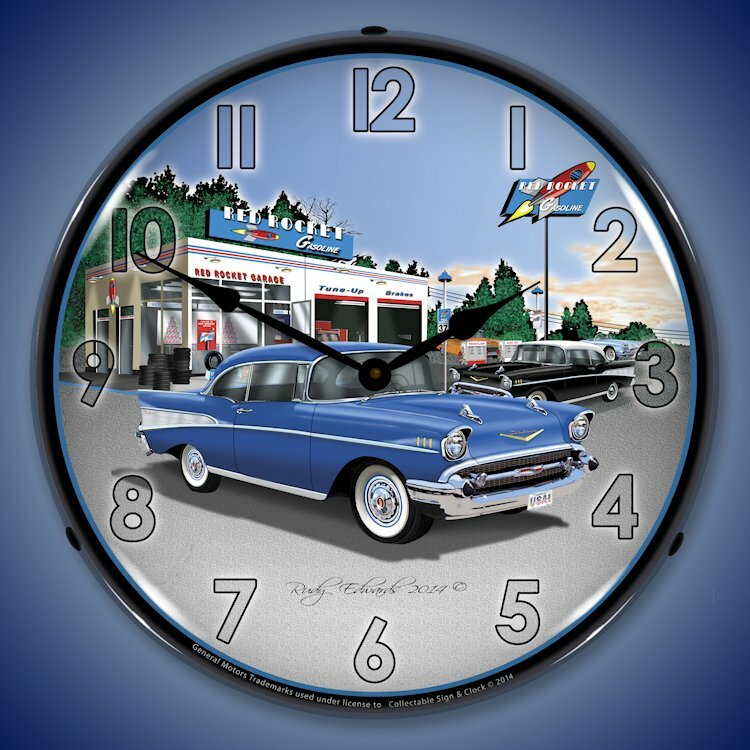 Subject: 1950s Chevrolet Bel Air Wall Clocks: 1955 Bel Air 4 Door, 1955 Bel Air Convertible, 1955 Bel Air Diner, 1955 Bel Air Mitch's Garage, 1955 Chevy, 1956 Chevrolet Bel Air, 1957 Bel Air Convertible, 1957 Bel Air Rocket Gas, 1957 Chevy, 1957 Chevy Esso, 1957 Chevy Mobilgas, 1959 Chevrolet, 1959 Chevrolet Pickup.